Each conference kicks off with an exciting workshop on Friday afternoon, which ends in time for the evening Keynote Presentation at the Nantucket Atheneum. 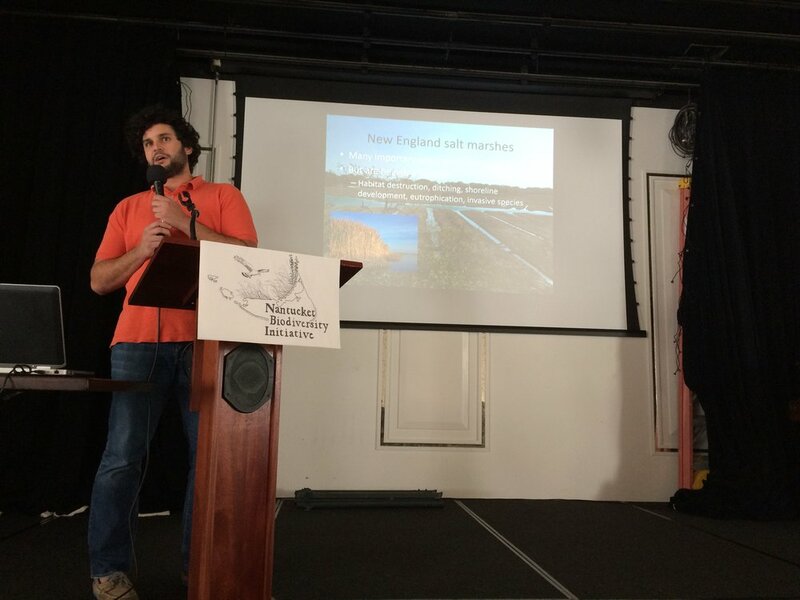 On Saturday morning the conference is in full swing at The Nantucket Hotel Ballroom with coffee and introductions at 8:30am and presentations continuing until 4:30pm. An informal social event takes place on Saturday evening at a local establishment, enabling participants to ask presenters additional questions in a relaxed atmosphere. An island field trip on Sunday allows participants the opportunity to get out into the field and learn about Nantucket's biodiversity first hand. We hope you'll join us at our next conference in 2019! Interested in attending any of our conference events? Pre-registration REQUIRED to reserve your space!